The Ultrak BTS app allows the user to transfer data from the Ultrak BTS stopwatch to a Smartphone. 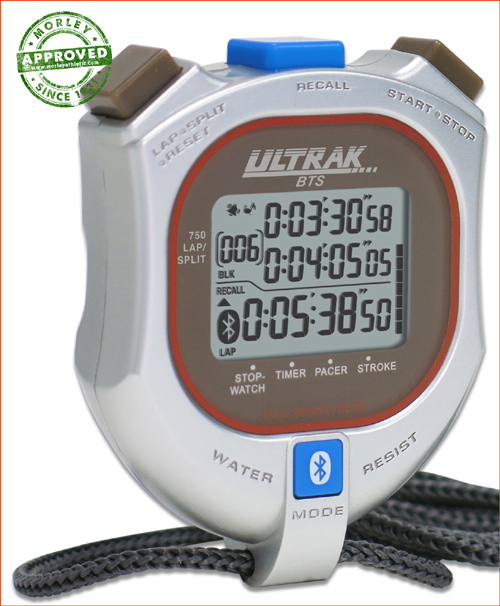 The Ultrak BTS stopwatch is the perfect timing tool for coaches, trainers and athletes with stopwatch, timer, pacer and stroke measurement functions. After uploading stopwatch times and stroke measurement data from each stopwatch device, the user can review each record on a Smartphone with filters. Records can be exported to a file for further analysis to improve the future performance. The pacer memories are stored in the Smartphone and can be downloaded to the stopwatch for use.